Hi, I'm having an error with projecting to world location to screen location. My goal is to have enemy health bars display above their heads as widgets. 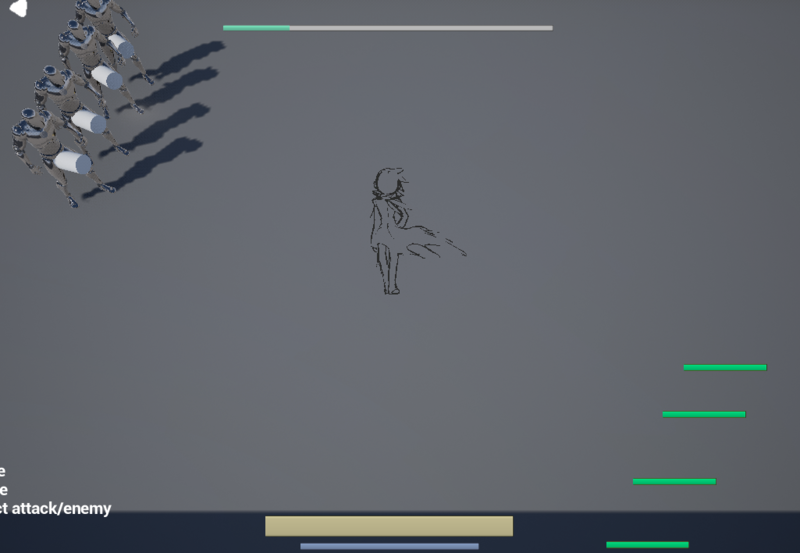 The issue I'm running into is the "project world location to screen location" and "convert world location to screen location" functions do not act according to the resolution of the game, so if the game is run at a different resolution the health bars will be offset and in some cases move in weird ways, such as moving to the left or right when the camera moves up and down. Is there some method to using these functions that I'm unaware of that will address the issue or is there an alternative method I can use to achieve the same effect? Still could use some help. Same problem here :( Everything works fine in 1900 x 1080, but changing to other resolution the widget goes offset the location.